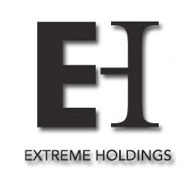 Extreme Holdings, Inc. | Proud parent of do it outdoors media and dio. We're leaders in alternative out-of-home advertising. Our family of brands will drive your advertising. Extreme Holdings is the holding company for do it outdoors media and dio. The former the largest national mobile billboard and field marketing company and the latter an experiential marketing agency, it's clear we know a thing or two about alternative advertising. Extreme Holdings, headquartered in York, PA, oversees the operations, financial and human resources initiatives of each of their brands. With a national presence, our thriving companies help businesses small and large achieve advertising success in nontraditional, alternative ways. We're not afraid of doing things to the extreme. Extremely creative. Extremely proficient. Extremely reliable. And extremely successful. If you're looking for do it outdoors or dio information, please visit those respective sites. For all other inquiries, please complete the form below..